The Heitman group, a 50-year-old real estate investment firm recently expanded its Australian and New Zealand presence with the recruitment of Beau Titchkosky as managing director in charge of working with investors to harness the growing demand for global property and alternative credit strategies. James Gruver, a Chicago-based managing director of global client service and marketing, said he expected the Heitman team in Australia to continue to grow over time. Gruver, who has a strong affinity with Australia, joined the firm early last year. A stepping stone in his career was the six years – between 2003 and 2009 – he spent based in Sydney as managing director of BNY Mellon Asset Management Australia. He joined Heitman in January 2016 and became a frequent visitor to Australia again. Heitman has about A$2 billion under management from several big Australian funds, with another A$500 million committed and is well known for its expertise investing across specialist sectors including storage, senior housing (retirement villages), student housing and medical office buildings, which have all been shown to be defensive assets in a market downturn. The firm has been investing in Australian property since 2010 and currently has in excess of A$650 million through both direct property and listed property across the country. However, Gruver said last week, given the firm’s compelling real estate offerings and the significance of Australia’s superannuation industry on the global stage, Australia’s share of the firm’s total funds under management could increase to 15 per cent of the A$50 billion it currently manages across a range of strategies around the world. Similarly to Gruver, Titchkosky said he was attracted to work with a single specialist manager which spanned both private and public markets. 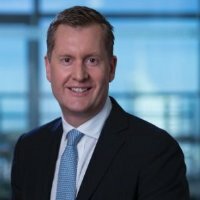 He had previously spent nine years with Legg Mason, a big multi-affiliate manager, the last five years as head of sales in Melbourne. Heitman offers a broad array of strategies to Australian investors including a global REITs capability, an open-ended North American core private equity fund, regional value added private equity strategies, an open-ended North American Real Estate Debt Fund, and numerous tailored strategies to meet unique investor portfolio needs. Currently the firm expects its growing private debt offering to be a significant contributor to growth over the next few years. Titchkosky said that with private debt, which was obviously less liquid than the public markets, Australian super funds were well positioned to take advantage of durability and regularity of income throughout market cycles.